objects that float. The size of a spirit remembered in land. It wasn’t big enough. I kept working. Today at the Los Angeles County Museum of Art, a four hundred and fifty six foot trench cuts across the north lawn. Directly over the deepest portion of the granite channel, a three hundred and forty ton boulder rests on two shelves bolted to the inside of the trench, allowing visitors to walk beneath the massive rock. 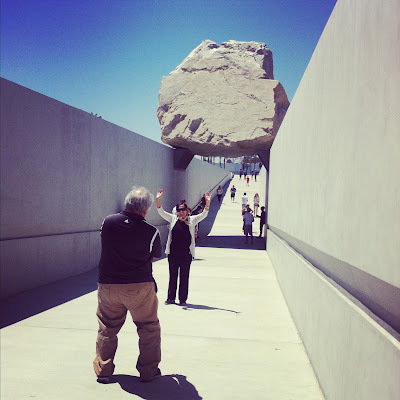 Levitated Mass is artist Michael Heizer’s most recent earthworks sculpture—an idea conceived decades ago and attempted once before, but the boulder was so heavy that it caused the lifting crane to snap. As my ideas developed I defied gravity. Without trying. forms of evidence interest me—beautiful gravel, broken processional. Visualize the voids combining—if you can, then you understand. fall at the base of a cliff. Articulate that. Stobb’s use of Heizer’s “negative vocabulary” also plays a part in the tradition of erasure poetry—mining a text to reveal another narrative, creating space for new interpretations that question the ownership or authority of the original text. Within these particular poems, Stobb seems to be reaching to “feel that something has transcended,” an out-of-body experience, erasure of self. A similar “vanishing act” occurs in other poems in the collection such as “Holiday,” “Up Kingston,” and “Absentia,” where entire poems are contained within quotation marks. These quoted poems aren’t lifted from Heizer’s language, but are instead run-on monologues, like dreams retold from memory. Here Stobb continues to negate the “I,” making it unclear who the speaker is and who is being spoken to. Heizer: “There is nothing there, but it is still a sculpture.” By erasing, we always leave something behind. Performance artist, musician, and sculptor Laurie Anderson says: “Emptiness to me is expansive. And I don’t have to be there. 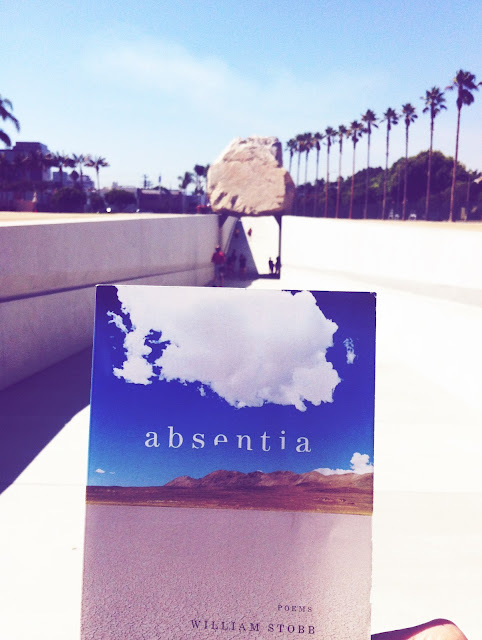 I can’t exist in it.” Stobb knows this emptiness, a vastness internalized. He is a poet of the desert. 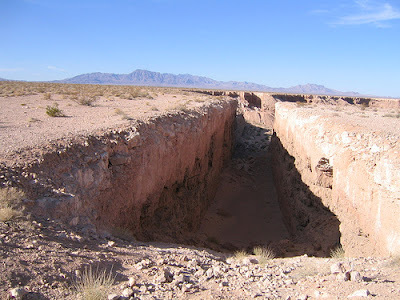 Just as Heizer’s work not only references the western landscape, but is made up of and by that landscape, Stobb takes the “inundated or eroded, extended or developed” language and repositions it into lyric. The relocation of a three hundred and forty ton boulder. Size is real. Just lay out flat and wait. and immersive as in the channel.